It’s unfortunate that many believers have a limited understanding of all the spiritual treasures they have in Christ. This is understandable for those who are relatively new in their faith, but for those who have been Christians for years and yet they still don’t know what God has given to them through the Spirit, it’s a sad commentary of their inability to grow in the faith. There is no need for any of us to wander around in the darkness, when we have the same Spirit that raised Jesus from the dead dwelling within us! The same power that could bring a person back to life dwells within our being! When you think about that, it is an awesome truth to comprehend and to live out in our lives. With that in mind, I just want to share a few truths with you about what the believer possesses in Christ. I find it interesting that when Paul prays for the believers in Ephesus, Philippi, and Colossae, he doesn’t ask for anything “material” for them. But rather his emphasis is on spiritual perception and real Christian character and as he prays for these people, he asks God to enlighten and reveal to them all the characteristics of the Holy Spirit that they already possess. They had them, they just weren’t aware of it. In Ephesians 1:18 Paul prays: “…that the eyes of your heart may be enlightened in order that you may know the hope to which he has called you, the riches of his glorious inheritance in the saints…” Paul was asking God to “enlighten” the believers. To open their spiritual eyes so they could see what God has already done for them. Holy Spirit Enlightenment Not “God Squad” Condemnation! The Holy Spirit works in our life in all of these areas. When we need knowledge or understanding it’s the job of the Holy Spirit to give it to us. When we need counsel or guidance, the Holy Spirit witnesses with our spirit the proper actions to take. It is the Holy Spirit dwelling in you that brings all of this good into your life. Although we don’t forsake the counsel of others, it is important that we first look to God’s Word and the Holy Spirit to give us direction and guidance for our life and then allow our brothers and sisters in Christ of confirm what the Word and the Spirit has already revealed to us. 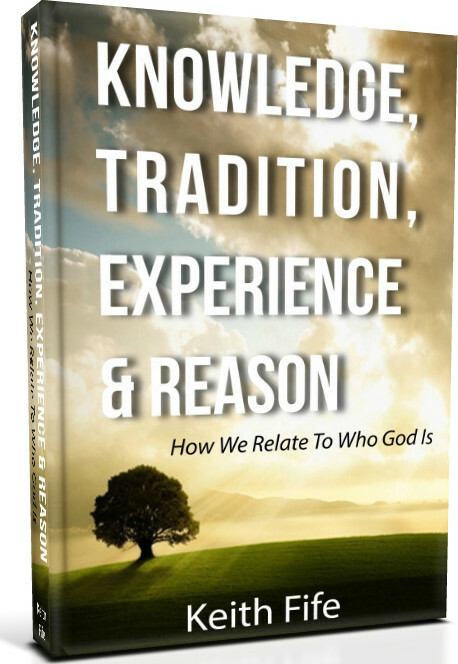 Paul makes it abundantly clear that with the natural mind, human kind cannot understand the things of God. We need the Spirit to enlighten us (1 Corinthians 2:9-16). This Holy Spirit enlightenment comes to the heart of the believer (Ephesians 1:18). It is only through our relationship with Christ that we have the mind of Christ and the Spirit of Christ! It isn’t through your own intellect, but it is Christ in us! If we are having difficulty in living out this life with God then it may be more a problem with the heart than the intellect. What does God want to reveal to you through His Spirit? Are you listening with spiritual eyes and hearing with spiritual ears? Yes! What a powerful message!